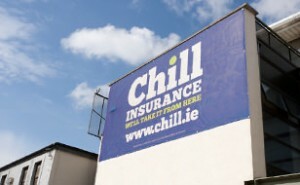 In August 2012 I joined Chill Insurance, Ireland’s fastest growing insurance broker. The role was newly created and I had the opportunity to run a team — albeit a team of one. It was an exciting time with more responsibility and the chance to learn about a new industry. The team structure was new to me too. I worked with an experienced sales and marketing director, two marketing executives and an SEO, design and lead generation expert, Jim Durrant. It was a departure from the large agency environment I had been used to. Not only was I moving to a much smaller team, but my responsibilities were now broader — my new role saw me in charge of Chill Insurance’s website, AdWords, social media, email marketing and content creation. Working alongside, Jim, I learnt so much in a short space of time. I was happy to put the hours in (although there’s no hiding place in a team of one), but at times, I must admit that I felt like an elastic band, stretched to breaking point and considered quitting — but I’m pleased to say I refocused, worked hard and the results began to come. Crucially, I developed a greater understanding of what activity will deliver the best return. For a small company eyeing big growth, this is an important skill, but it also made me see that agency teams often don’t have access to the data they need to best implement a company’s strategy. During this period I also experienced living with a disruptive housemate. I don’t mean disruptive in a noisy way, but disruptive in the sense of not getting along with everybody. Despite training to be a Doctor (and highly intelligent), it seems she was lacking in emotional intelligence. This led to the housemate in question regularly fall out with the rest of us, and hastened a sudden, but not wholly unexpected departure. What does this have to do with work? I was once told by a wise man to always leave on good terms. If you make a bad exit, whether it be at work or elsewhere, this will overshadow everything else. Unfortunately, this is how we remember our former housemate, and for the record, there still seems to be a lack of wise men in her life. Whenever I leave, I always think back to this, and put thought into my departure, so I can leave well. And for those thinking about making the move into insurance, it’s worth pointing out that insurance sits within the financial services industry and is therefore regulated by the Central Bank of Ireland. This is a good thing, but if truth be told, working in such a closely regulated industry was challenging. I prefer fast-paced, nimble industries where you can push boundaries and take risks — and despite having a small and creative team, this just can’t happen in regulated industries. Working closely with Jim, we achieved great things at Chill Insurance — ‘home insurance’, ‘car insurance’, ‘motor insurance’ and ‘insurance’ were regular features on the first page of Google, we launched a responsive website, won a national blog award and got nominated for a couple of prestigious Spider Awards. As a result, website traffic, leads and sales grew exponentially — and pretty soon some other companies came calling. Over the course of my time at Chill Insurance, recruiters often got in touch via LinkedIn and I had interesting discussions, but nothing enthralled me — until I spoke with Indeed and heard about its mission. It was a chance I couldn’t turn down. The opportunity to focus on content marketing for the world’s #1 job site which attracts 140 million unique visitors each month was exciting. As well as being offered a new job, I got engaged, ran a marathon and won a national award — all in the space of two weeks. I doubt I’ll ever have another fortnight quite like that. Although, I spent just 15 months at Chill Insurance, it was a hugely successful and transformational time. It was great working at a growing company and I only have good things to say about my time there. Visit Social Web Thing tomorrow to hear about my time so far at Indeed and how blogging has helped me.